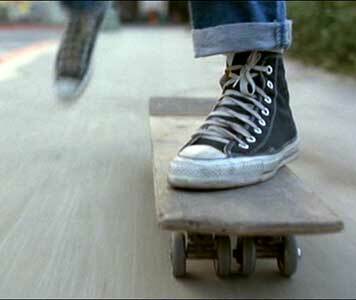 Marty skateboards away from Biff and his cronies in Back to the Future. Films on this page: Baby Huey’s Great Easter Adventure, The Babysitters Club, Bachelor Party, The Bachelors, Back to the Future, Bad Moms, Bad News Bears, Bad Ronald, A Bag of Hammers, Balloon Farm, Bark Ranger, The Basketball Diaries, Battlefield America, Beanstalk, Beautiful Boy, Beautiful Creatures, Before Midnight, Before Sunrise, The Believers, Bellflower, Benji (2018), Benji: Off the Leash, Big, Big Girls Don’t Cry. . . They Get Even, The Big Lebowski, The Bike Squad, Bill & Ted’s Excellent Adventure, A Birder’s Guide to Everything, Birdy, Black Sheep, The Black Stallion Returns, Blank Check, Blind Dating, Blind Fury, Blinker en de Blixvaten (Blinker and the Blix Barrels), Blöde Mutzel, Blood In, Blood Out, Blood of Man, Blood Simple, Blood Work, Bloodfist VIII: Hard Way Out, Blue Lagoon: The Awakening, Blue River, Blue Sky, Blue Steel, Blues Brothers 2000, Boarding School, The Body Snatchers, Boltneck, Boogeyman, The Book of Love, Bored Silly, Bottle Shock, The Boy Who Cried Werewolf, Boyhood, The Boys Club, The Boys From Brazil, Brainscan, The Breakfast Club, Breakin’, Breakin’ 2, Breaking Away, Breaking Brooklyn, Breakout, Bridge to Terabithia, Bringing Up Bobby, Bull Durham, Burglar, Bushwhacked, The Bye Bye Man. Baby Huey’s Great Easter Adventure. (1999) Michael Angarano, Rachel Snow, Maureen McCormack, David Leisure, Harvey Korman, Joseph Bologna, David L. Lander, Promise LaMarco. Directed by Stephen Furst. The huge duckling comes to Bitsville and is taken in by a little boy name Nick and his very surprised family. But Baby Huey soon attracts the sinister attentions of a Las Vegas producer and a bird-brained scientist. A lot of wasted talent in this film. The Babysitters Club. (1995) Schuyler Fisk, Bre Blair, Rachel Liegh Cook, Larisa Ollynix, Tricia Joe, Stacey Linn Ronsower, Zelda Harris, Christian Oliver, Bruce Davison, Ellen Burstyn, Peter Horton, Lance O’Reilly. Directed by Melanie Mayron. Schuyler Fisk is the leader of a group of seven girls who decide to run a summer camp for kids to earn money. But things are complicated by other kids and some adults, including her long-absent father who shows up and wants to spend time with her. Categories: Comedy, Coming of Age, Family. Bachelor Party. (1984) Tom Hanks, Tawny Kitaen, Adrian Zmed, Barbara Stuart, Robert Prescott, George Grizzard. Directed by Neal Israel. Tom Hanks plays a bus driver who gets engaged to an heiress, much to the dismay of her family. When his rowdy friends decide to give him a raunchy bachelor party, the young couple’s loyalty to each other is tested when an ex-boyfriend conspires to send the hookers from the bachelor party to a fancy bridal shower for her being given at the same time, setting off a chain of mixups and escapades. The Bachelors. (2017) J. K. Simmons, Josh Wiggins, Julie Delpy, Odeya Rush, Kitana Turner, Kevin Dunn, Tyrell Jackson Williams. Written and directed by Kurt Voelker. After the loss of his wife, math teacher Bill Ponder and his 17-year-old son Wes move to southern California in an attempt to have a fresh start in a private school. Wes is better able to handle the switch, as he soon is involved in the cross country team and tutoring Lacy, an attractive but reserved French student. Bill continues to be depressed over his loss, even after becoming involved with Carine, the French teacher, and the attempts of his grief counselor to treat Bill with drugs and therapy seem to backfire and cause alienation with Wes. Back to the Future. (1985) Michael J. Fox, Christopher Lloyd, Crispin Glover, Lea Thompson, Thomas F. Wilson. Directed by Robert Zemeckis. The first and the best of the many time travel comedy/adventures that became popular as a result of this film. The skateboarding scene with Michael J. Fox is not to be missed. Categories: Action/Adventure, Family, Science Fiction/Fantasy. Bad Moms. (2016) Mila Kunis, Kathryn Hahn, Kristen Bell, Christina Applegate, Emjay Anthony, David Walton. Written and directed by Jon Lucas and Scott Moore. When three overworked and under-appreciated moms are pushed beyond their limits, they ditch their conventional responsibilities for a jolt of long overdue freedom, fun and comedic self-indulgence. Bad News Bears. (2005) Billy Bob Thornton, Greg Kinnear, Marcia Gay Harden, Sammi Kane Kraft, Ridge Canipe, Brandon Craggs, Jeffrey Davies, Timmy Deters, Carlos Estrada, Emmanuel Estrada, Tyler Patrick Jones, Troy Gentile. Directed by Richard Linklater. A grizzled little league coach (Thornton) tries to turn his team of misfits into champs. Bad Ronald. (1974) Scott Jacoby, Pippa Scott, John Larch, Dabney Coleman, Kim Hunter, Cindy Fischer, Ted Eccles. Directed by Buzz Kulik. This made for TV movie is now a cult favorite. When a nerdy high school kid accidentally kills a neighbor’s young daughter, his mother has him stay isolated in the pantry, which they board up from the rest of the house. But the mother dies, and a new family eventually moves in, with three attractive young daughters. A Bag of Hammers. (2011) Jake Sandvig, Jason Ritter, Carrie Preston, Chandler Canterbury, Rebecca Hall. Directed by Brian Crano. Two twenty-something slackers take on the raising of a young boy who is dumped on them by his stressed out mother. Balloon Farm. (1998) Rip Torn, Mara Wilson, Roberts Blossom, Fredric Lane, Laurie Metcalf. Directed by William Dear. A friendly newcomer to a drought-ravaged farm town surprises everyone by growing an amazing crop of brilliantly colored balloons in his field. Is this a sign of good things to come or is it part of a more sinister plot to defraud the struggling community? Bark Ranger. (2015) Lucius Hoyos, Zoe Fraser, Marty Adams, Jason Blicker, Ari Cohen, Voice of Jon Lovitz. Directed by Duncan Christie. Two kids and a trusty dog, Ranger, stumble across a treasure map while playing in an abandoned ranger station. They set out on the adventure of a lifetime in search of a forgotten gold mine but things take a turn for the worst when they come across a pair of bumbling crooks hiding out from the police. The Basketball Diaries. (1995) Leonardo DiCaprio, Bruno Kirby, Lorraine Bracco, Ernie Hudson. Directed by Scott Kalvert. Leonardo di Caprio and his friends on a Catholic high school basketball team all wear black high top chucks on the road to lives of drug addiction and crime. Categories: Drama, Crime and Mystery, Sports. Battlefield America. (2012) Marques Houston, Mekia Cox, Lynn Whitfield, Tristen M. Carter, Chandler Kinney, Tracey Heggins, Christopher Jones, Kida Burns, Neiko Keiyan, Gavin Pecson, Adam Cravens, Zach Belandres. Directed by Chris Stokes. A young businessman who lands a community service sentence reluctantly falls in with a group of misfit kids who need mentoring. With the help of a pro instructor, he works to get the kids ready for a big underground dance competition. Beanstalk. (1994) J. D. Daniels, Amy Stock-Poyton, Patrick Renna, Rikchard Moll, Richard Paul, Cathy McAuley, Daivd Naughton, Stuart Pankin, Margot Kidder. Directed by Michael Paul Davis. This remake of the traditional fairy tale is about little Jack Taylor, who is continually hustling to scratch out a living with his single mom. When a local scientist gives him some experimental seed pods, and the huge beanstalk results, Jack goes searching for riches but ends up running into a wacky family of giants instead. Beautiful Boy. (2018) Steve Carell, Timothée Chalamet, Maura Tierney, Amy Ryan, Kue Lawrence, Jack Dylan Glazer, Timothy Hutton. Directed by Felix van Groeningen. Based on the best-selling pair of memoirs from father and son David and Nic Sheff, Beautiful Boy chronicles the heartbreaking and inspiring experience of survival, relapse, and recovery in a family coping with the addiction of their eldest son over many years. Beautiful Creatures. (2013) Alden Ehrenreich, Alice Englert, Jermy Irons, Viola Davis, Emmy Rossum, Thomas Mann, Emma Thompson. Written and directed by Richard LaGrevenese. When Ethan meets Lena Duchannes, he believes he has met the girl of his dreams in the small, provincial town of Gatlin, South Carolina. Their problem is that Lena is a witch about to reach her sixteenth birthday where she will be claimed either by the forces of light or darkness, and can only remain in the light if she gives up her love for Ethan. Before Midnight. (2013) Ethan Hawke, Julie Delpy, Seamus Davey-Fitzpatrick, Jennifer Prior, Charlotte Prior. Directed by Richard Linklater. In this fourth movie of the Before Sunrise series, Jesse and Celine are vacationing with their family in Greece, at the beautiful estate of a Greek author. Jesse is 41, a successful author, but worried that he is not spending enough time with his son, Henry. Celine is the mother of their twin daughters, but not always happy about it, and is contemplating a job change. Are Jesse and Celine in the best years of their lives or in a middle aged crisis? Before Sunrise. (1995) Ethan Hawke, Julie Delpy, Andrea Eckert, Hanno Poschl. Directed by Richard Linklater. A love story about two strangers — a young American writer on the rebound from a broken romance and a beautiful French graduate student — who meet on a train to Vienna, hit it off, and embark on a romantic adventure for one night, knowing that they may never see each other again. The Believers. (1987) Martin Sheen, Harley Cross, Helen Shaver, Robert Loggia, Elizabeth Wilson, Harris Yulin. Directed by John Schlesinger. Martin Sheen stars as a psychologist who comes to New York with his young son to start a new life after his wife was killed in an accident. Hired by the NYPD to work with stressed-out cops, he soon becomes involved in a series of ritualistic child murders perpetrated by a strange religious sect. Bellflower. (2011) Evan Glodell, Tyler Dawson, Jessie Wiseman, Rebekkah Brandes, Vincent Grashaw. Written and directed by Evan Glodell. Woodrow and Aiden spend all their free time building flame-throwers and weapons of mass destruction in hopes that a global apocalypse will occur and clear the runway for their imaginary gang “Mother Medusa”. But when Woodrow meets Milly and falls in love, he and Aiden join a new gang of friends and set off on journey more devastating and fiery than any of their fantasies. Benji. (2018) Gabriel Bateman, Darby Camp, Kiele Sanchez, Gralen Bryant Banks, Will Rothhaar, Angus Sampson. Directed by Brandon Camp (son of the original writer/director). Two school kids strike up a friendship with an orphaned puppy named Benji. When danger befalls them and they end up kidnapped by robbers who are in over their heads, Benji and his scruffy sidekick come to the rescue. Benji: Off the Leash. (2004) Nick Whitaker, Chris Kendrick, Nate Bynum, Randall Newsome, Duane Stephens, Christy Summerhays. Directed by Joe Camp. Mr. Hachett is abusive to his family and to the dogs that he breeds for cash income at his Mississippi home. His son, Colby, and an orphaned dog his father won’t keep plot to save the dogs from Mr. Hachett and the usual bumbling town dog catchers. Big. (1988) Tom Hanks, Elizabeth Perkins, Jared Rushton, Robert Loggia, John Heard, David Moscow, Jon Lovitz. Directed by Penny Marshall. Tom Hanks received his first Oscar nomination for his portrayal of a 12-year-old boy who wishes he could be an adult, and wakes up the next day as a thirty-year-old. With only his best friend knowing the truth, Hanks heads to New York City and ends up working in the toy industry. The film works because Hanks is believable as an adolescent in an adult body, in both his intellectual and emotional reactions to the world of adults. Big Girls Don’t Cry. . . They Get Even. (1991) Hillary Wolf, David Strathairn, Margaret Whitton, Griffin Dunne, Patricia Kalember, Adrienne Shelley, Dan Futterman, Ben Savage. Directed by Joan Mocklin Silver. A family comedy about Laura Chartoff, a young teenaged girl who is frustrated by the neglect that she feels from her dysfunctional family, the product of multiple marriages and divorces by her parents. When she can’t take it anymore, Laura runs away from home, forcing her family to come together and search for her. The Big Lebowski. (1998) Jeff Bridges, John Goodman, Steve Buscemi, Julianne Moore, Philip Seymour Hoffman, David Huddleston, Tara Reid. Written and directed by Joel and Ethan Coen. Jeff Bridges stars as “The Dude” Lebowski, a true remnant from the sixties, who is mistaken for a millionaire also named Lebowski and attacked by collectors seeking to collect money owed by the millionaire’s wife. 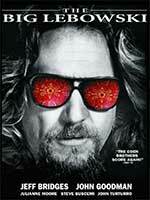 The Dude seeks restitution for damages and enlists his bowling buddies to help get it. Soon they are involved in a convoluted kidnapping plot. The Bike Squad. (2002) Braden Parkes, Graham Spillman, Wolf Bradley, Thomas Garner, Stepahnie Griffen, Michael Louden, Michael McConnohie, Michael Ollifers. Directed by Richard Gabai. Ryan, who is spending the summer with his college professor father, is upset when his dog suddenly disappears. Eventually Ryan and his three friends discover that his dog along with other dogs in town are being taken by two bumbling dognappers and sold to an unscrupulous researcher. But when no adults will believe that this is going on, it’s up to Ryan and his friends to get the dog back. Bill & Ted’s Excellent Adventure. (1989) Keanu Reeves, Alex Winter, George Carlin. Directed by Stephen Herek. This comedy/adventure in the tradition of Back to the Future poses the interesting question “What if the survival of the world depended on the academic success of two teenaged valley guys from Southern California?” While this may sound frightening, the film is actually a campy sendoff of both history and modern society suitable for the entire family. Categories: Comedy, Teenagers, Family, Science Fiction/Fantasy. A Birder’s Guide to Everything. (2013) Kodi Smit-McPhee, Alex Wolff, Michale Chen, Katie Chang, Daniela Lavender, James, Gros, Ben Kingsley. Directed by Rob Meyer. David Portnoy, a 15-year-old birding fanatic, thinks that he’s made the discovery of a lifetime. So, on the eve of his father’s remarriage, he escapes on an epic road trip with his best friends to solidify their place in birding history. Birdy. (1984) Matthew Modine, Nicholas Cage, John Harkins, Sandy Baron, Karen Young, Bruno Kirby. Directed by Alan Parker. In an effort to break into the almost catatonic state of a returned Viet Nam veteran who believes he has become a bird, his psychiatrst brings in his loyal best friend from his youth to help bring him back to reality. Black Sheep. (2006) Nathan Mesiter, Danielle Mason, Tammy Davis, Peter Feeney, Glenis Levestam, Tandi Wright, Oliver Driver. Written and directed by Jonathan King. When sheep-aphobic Henry returns to sell his share of the family farm in New Zealand, he finds his brother has been genetically altering the animals. The resulting monsters go on a murderous rampage, and it’s up to Henry to stop them. The Black Stallion Returns. (1983) Kelly Reno, Vincent Spano, Allen Goorwitz, Woody Strode, Ferdy Maguire, Jodi Thelan, Teri Garr. Directed by Robert Dalva. The extraordinary relationship between a boy and a champion Arabian horse is explored again in this sequel. The well-photographed adventure focuses on the boy’s courage and determination to track down and find the black horse when it is forcibly taken back to northern Africa by the Berber tribe. Blank Check. (1994) Brian Bonsall, Karen Duffy, Miguel Ferrer, James Rebhorn. Directed by Rupert Wainwright. When a crook runs over young Preston Walter’s bicycle, he gives the boy a blank check, which later Preston fills in for one million dollars. When the president of the bank that the check is drawn on actually cashes the check, which he believes to be part of a money laundering scheme he is involved in, Preston starts living a lavish life style complete with limo driver, adult girl friend, and every toy imaginable. His only problem: both the FBI and the crook’s gang are trying to recover the money. Blind Dating. (2006) Chris Pine, Steve Wellington, Eddie Kaye Thomas, Jane Seymour, Stephen Tobolowsky, Anjali Jay. Directed by James Keach. A blind young man on a sexual quest, and after a series of hilariously mismatched blind dates, falls in love with an Indian woman, though their relationship is fraught with cultural differences. Blind Fury. (1990) Rutger Hauer, Terrance O’Quinn, Lisa Blount, Randall “Tex” Cobb, Noble Willingham. Directed by Phlip Noyce. Rutger Hauer gives a great performance as a blind Vietnam veteran who becomes a modern-day American samurai warrior fighting a group of ruthless Las Vegas mobsters. Blöde Mutzel. (2007) Johann Hillman, Lea Eislieb, Konrad Baumann, Inka Friedrich, Stephan Kampwirth. Written and directed by Johannes Schmidt. Martin, a naive young boy who is new in town, slowly learns about life from his interactions with Silke, a young girl he is attracted to, and Oliver, first his rival then later his friend. Blood In, Blood Out. (1993) Benjamin Bratt, Damien Chapa, Jesse Borrego, Enrique Castillo, Victor Rivers. Directed by Taylor Hackford. Based on the true life experiences of poet Jimmy Santiago Baca, the film focuses on step-brothers Paco and Cruz, and their bi-racial cousin Miklo. It opens in 1972, as the three are members of an East L.A. gang known as the Vatos Locos, and the story focuses on how a violent crime and the influence of narcotics alter their lives. Blood of Man. (2013) William Harrison, Cooper Guy, Canon Kuipers, Adam Boyer, Faith Dillon, Leslie Warren. Written and directed by Ben Watts. Two young boys, one a compulsive liar, must deal with a grim reality when they run into a woman begging for help and the man chasing her in the backwoods of their rural Georgia town. Categories: Drama, Coming of Age, Short. Blood Simple. (1984) John Getz, Frances McDurmond, Dan Hedaya, M. Emmet Walsh, Samm-Art Williams. Directed by Joel Coen. An offbeat film noir set in rural Texas involving a triangle between a bar owner, his wife, and a bartender in the saloon. When the bar owner hires a private detective to kill them, a whole series of grisly events is set off. Blood Work. (2002) Clint Eastwood, Jeff Daniels, Angelica Huston, Wanda de Jesus, Paul Rodriguez. Directed by Clint Eastwood. A retired FBI detective recovering from a heart transplant returns to hunt a serial killer when he discovers that his heart came from one of the killer’s victims. Bloodfist VIII: Hard Way Out (aka Trained To Kill). (1996) Don “the Dragon” Wilson, John Patrick White, Jillian McWhirter, Warren Burton, Conor Nolan. Directed by Rick Jacobson. A shy reclusive math teacher reveals his true past as a CIA operative when a team of assassins comes to kill him and his son. Blue Lagoon: The Awakening. (2012) Indiana Evans, Brenton Thwaites, Denise Richards, Christopher Atkins, Patrick St. Esprit, Frank John Hughes, Alix Gitter. Directed by Mikael Salomon. Emma and Dean, two very different high school students become stranded on a tropical island and must rely on each other for survival, while their parents desperately search for them. As the weeks pass by they develop an attraction to one another and eventually fall in love. 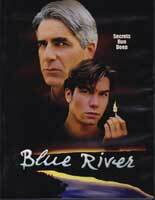 Blue River. (1995) Jerry O’Connell, Nick Stahl, Neal McDonough, Jean Marie Barnwell, Patrick Renna, Sam Elliott, Susan Dey. Directed by Larry Elikann. Set in a small town in Wisconsin, the stormy relationship of a young teenage boy with his troubled older brother is told in an extended flashback segment bookended by what happens when the two meet again 15 years later. Blue Sky. (1994) Jessica Lange, Tommy Lee Jones, Powers Boothe, Carrie Snodgrass, Amy Locane, Chris O’Donnell, Mitch Ryan. Directed by Tony Richardson. Jessica Lange steals the show as a flamboyant and unpredictible Army wife and mom in this drama about a major (Tommy Lee Jones) working in the nuclear testing program in the sixties. The film deals with the impact that his occupation and continually moving around the country has on his family, and how they respond when a scandal rocks the program. Two subplots deal with the relationship that develops between his teenaged daughter and the son of his base commander, and the commander’s sexual interest in Lange. Blue Steel. (1990) Jamie Lee Curtis, Ron Silver, Clancy Brown, Louise Fletcher. Directed by Kathryn Bigelow. Rookie cop Meg Turner kills an armed robber on her first day on the job. But an unseen witness steals the robber’s gun, and her badge is revoked by the NYPD in the investigation. Turning to a stockbroker friend for assistance, Meg must now try to find what happened on her own. But there is a lot more to the mystery than she realizes, and a deadly cat and mouse game ensues. Blues Brothers 2000. (1997) Dan Ackroyd, John Goodman, Joe Morton, J. Evan Bonifont, Frank Oz, Aretha Franklin, Kathleen Freeman, B. B. King, James Brown. Directed by Jon Landis. This sequel to the original film has Elwood Blues trying to reunite the original band (unfortunately minus Belushi) with the help of strip-joint bartender John Goodman and a 10-year-old orphan named Buster. The car-smashing chase scenes with the cops and a great lineup of musicians make this a pleasant diversion, even if it isn’t a classic like the original Blues Brothers film. Boarding School. (2018) Luke Prael, Sterling Jerins, Will Patton, Tammy Blanchard, Nadia Alexander, Christopher Dylan White, Nicholas J. Oliveri, Kobi George, Kadin George, Samantha Mathis. Written and directed by Boaz Yakin. A young boy becomes fascinated with the persona of his dead grandmother, and after being caught wearing her clothes is sent to an isolated boarding school for misfits run by a mysterious headmaster and his wife. The Body Snatchers. (1993) Gabrielle Anwar, Terry Kinney, Billy Wirth, Christine Elise, R. Lee Ermey, G. Elvis Phillips, Reilly Murph, Kathleen Doyle, Forest Whitaker, Meg Tilly. Directed by Abel Ferrara. EPA inspector Steve Malone and his family arrive at a remote military base to inspect for toxic spills, but end up discovering something more sinister and frightening. Boltneck. (1998) Kenny Blank, Shelley Duvall, Charles Fleischer, Christine Lakin. Directed by Mitch Marcus. This mostly unbelievable remake of the Frankenstein story is about Frank, a high school nerd with a genius IQ, who wants acceptance with the “in” crowd. He gets his chance when some jocks at school accidentally kill Karl, the school goth, while hazing him, and Frank offers to bring back Karl to life using a brain from one of his father’s research projects. Book of Love. (1990) Chris Young, Keith Coogan, Aeryk Egan, Josie Bisset, Tricia Leigh Fisher, Danny Nucci. Directed by Robert Shea. John Twiller flashes back onto his high school days and his efforts to impress the prettiest girl in town. Bored Silly. (2000) Evan Gabriel, Seth Fjersted, Shaun Poremba, Michael Nowak, Amy Farrington, Phil Dawkins, Zoe Kanters, Barbara Ann Grimes, Lucy Pacquet. Directed by Robert Shallcross. Three ten-year-old kids get into trouble when they decide to build a summer treehouse. Bottle Shock. (2008) Chris Pine, Alan Rickman, Bill Pullman, Rachael Taylor, Freddy Rodríguez, Dennis Farina. Written and directed by Randall Miller. The story of how wines from the Napa Valley region of California were selected for the now infamous, blind Paris wine tasting of 1976 shown through the eyes of one Napa Valley winery on the brink of failure and Steve Spurrier, the man who selected the wines and set up the competition. The Boy Who Cried Werewolf. (2010) Chase Ellison, Victoria Justice, Brooke Shields, Brooke D’Orsay, Christie Laing, Cainan Wiebe. Directed by Eric Bross. Made for TV movie about a single father trying to make ends meet and his son and daughter who are trying to succeed in high school. Hunter Sands is a freshman still very much involved in a make believe world of monsters and pranks that backfire on him, while his older sister Jordan is constantly thwarted by “in crowd’ girls who conspire against her. Then everything changes when the family inherits a castle in Transylvania from a deceased uncle. Imagine kids in chucks trampling down the dark corridors where vampires and werewolves live. And young Hunter discovers why he has such an interest in monsters! Categories: Action/Adventure, Comedy, Family Grade Horror. Boyhood. (2014) Ellar Coltrane, Lorelie Linklater, Patrica Arquette, Ethan Hawke, Elijah Smith, Steven Prince, Marco Perella, Jamie Howard. Written and directed by Richard Linklater. Filmed over 12 years with the same cast, Richard Linklater’s Boyhood is a fascinating story of growing up as seen through the eyes of Mason Evans, Jr. (Ellar Coltrane). Mason literally grows up on screen before our eyes, along with Linklater’s daughter Lorelei, who plays Mason’s sister, Samantha. Linklater’s realistic script shows how Mason and Sam react to divorces, moves, road trips, family celebrations, the onset of adolescence, and constantly changing family members. The Boys Club. (1996) Christopher Penn, Dominic Zamprogna, Devon Sawa, Stuart Stone. Directed by John Fawcett. Three teenagers who escape from the realities of life in a secluded clubhouse run into real adventure when a bleeding man with a gun walks in the door claiming to be a cop on the run from some criminals. Although they believe him at first and respond to his orders and demands, his strange and paranoid behavior soon puts the teens on edge, and eventually they must figure out a way to escape from his control. Categories: Drama, Crime and Mystery, Coming of Age, Teenagers. The Boys From Brazil. (1978) Gregory Peck, Laurence Olivier, James Mason, Lilli Palmer, Uta Hagen, Rosemary Harris, Anne Meara, Denholm Elliott, Steve Guttenberg. Directed by Franklin J. Schaffner. A young American amateur Nazi-hunter discovers a plot by Josef Mengele and other Nazis hiding in South America to clone Hitler. But he is killed before he can get the evidence to famed Nazi hunter Ezra Lieberman, leaving Lieberman to figure out the plot and try to stop it. Brainscan. (1994) Edward Furlong, Frank Langella, T. Ryder Smith, Amy Hargreaves, Jamie Marsh. Directed by John Flynn. An under-rated science fiction thriller that explores the mindset of a teenager obsessed by computer games and horror movies. His life is dramatically changed when he gets the opportunity to play Brainscan, an interactive game about murder. Categories: Drama, Science Fiction, Horror, Teenagers. The Breakfast Club. (1985) Emilio Estevez, Judd Nelson, Molly Ringwald, Anthony Michael Hall, Ally Sheedy, Paul Gleason. Directed by John Hughes. Five teenagers that conveniently fit high school stereotypes (the jock, the nerd, the delinquent, the prom princess, and the misfit) serve a Saturday detention together. At first they pick on each other, but later they start bonding and end up revealing their innermost thoughts and fears. Categories: Drama, Comedy, Coming of Age, Teenagers. Breakin’. (1984) Lucinda Dickey, Adolfo Quinones, Michael Chambers, Ben Lokey, Christopher McDonald, Phineas Newborn III, Bruno Falcon, Timothy Solomon, Ana Sánchez, Ice-T. Directed by Joel Silberg. A struggling young jazz dancer (Lucinda Dickey) meets up with two break-dancers. Together they become the sensation of the street crowds. Features Ice-T in his film debut as a club MC and lots of great chucks shots. Breakin’ 2. (1984) Lucinda Dickey, Adolfo Quinones, Michael Chambers, Susie Bono. Directed by Sam Firstenberg. The trio from the Breakin’ film return to save a community center from a greedy developer bent on building a shopping center in its place. Breaking Away. (1979) Dennis Christopher, Daniel Stern, Jackie Earle Haley, Dennis Quaid, Barbara Barrie, Paul Dooley. Directed by Peter Yates. A young champion bicyclist living in a college town wants to spend the year after high school just hanging around, competing in races, and having fun with his three best friends. But reality soon changes their lives in this Academy Award winning coming of age film. Breaking Brooklyn. (2018) Colin Critchley, Madeleine Mantock, Nathan Kress, Louis Gossett, Jr., Vondie Curtis-Hall, Bryan Tarantina. Written and directed by Paul Becker. Aaron, a 12-year-old homeless boy with a talent for dance, and his older brother Albee are taken in by Greg Bryant, a dance instructor at Aaron’s school. Greg and his estranged brother Miles, tap dance legends in a previous time, live above their old theater which is facing foreclosure with Greg’s daughter Faith, who aspires to be a singer. Eventually, they decide to put their differences aside and use their own and Aaron’s talents to save the day. Breakout. (1998) J Evan Bonifant, James Hong, Chris Chinchilla, Robert Carradine, Holly Gagnier, Breanna Grant. Directed by John Bradshaw. Zack Hadley is on the verge of introducing a new alternative energy source to the world. But the energy cartels aren’t pleased and send goons to kidnap his son Joe to pressure Zack into abandoning his work. Luckily Joe is able to team up with two friendly ninja kids who help him battle the goons. Bridge to Terabithia. (2007) Josh Hutcherson, AnnaSophia Robb, Zooey Deschanel, Robert Patrick, Bailee Madison, Kate Butler, Devon Wood, Emma Fenton, Grace Brannigan, Latham Gaines. Directed by Ron Shelton. Jesse Aarons is a 12-year-old artistically talented boy living in rural West Virginia who has been having a tough time due to money problems at home, lack of acceptance from his family, and fending off bullies at school. But life changes for the better when Leslie Burke, an adventurous and free-thinking girl his age moves in across the road. She encourages him to be imaginative and together they create the world of Terabithia in the woods near their homes. Bringing Up Bobby. (2011) Milla Jovovich, Spencer List, Rory Cochrane, Marcia Cross, Bill Pullman. Written and directed by Famke Janssen. In an effort escape her murky past and build a better future, Olive, a nomadic European con artist, and her ten-year-old American born son, Bobby, find themselves living in Oklahoma. The two are free spirits, which doesn’t sit well with a lot of the very conservative locals. Eventually Olive’s criminal past catches up to her while Bobby’s undisciplined behavior causes concern in their neighborhood and at school, even after he is “temporarily” adopted by a wealthy couple who recently lost their child. Bull Durham. (1988) Kevin Costner, Susan Sarandon, Tim Robbins. Directed by Ron Shelton. Set in the ballparks and bedrooms of a southern minor league town, this comedy involves a triangle between Costner, who plays a seasoned but has-been catcher, Robbins, a cocky young pitcher he is training for the major leagues, and Sarandon, the team’s unofficial trainer and femme fatale. Categories: Drama, Romance, Sexually Explicit, Sports. Burglar. (1987) Whoopi Goldberg, Bob Goldthwait, G. W. Bailey, Leslie Anne Warren, James Handy, John Goodman, Anne De Salvo. Directed by Hugh Wilson. Whoopi Goldberg plays an ex-con being framed for a robbery and murder by a crooked cop, and Bob Goldthwait is her poodle-grooming sidekick in this routine comedy-mystery set in San Francisco. Categories: Drama, Adventure, Mystery and Crime. Bushwhacked. (1995) Daniel Stern, Jon Polito, Cory Carrier, Brad Sullivan, Ann Dowd, Anthony Heald. Directed by Greg Beeman. A bumbling package delivery man is set up as the fall guy in a get rich scheme. When he heads for the hills to escape the police, he is mistaken for a scout leader, and ends up leading a cub scout troop on a wilderness trip. Categories: Comedy, Adventure, Family, Mystery and Crime. The Bye Bye Man. (2017) Douglas Smith, Lucien Laviscount, Cressida Bonas, Doug Jones, Carrie-Anne Moss, Faye Dunaway, Michael Trucco. Directed by Stacy Title. When three college friends rent an old house together,	they	stumble	into the horrific origins of the Bye Bye Man, who takes over people’s lives and causes them to commit horrific acts of murder.